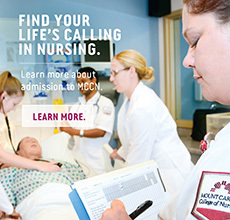 Thank you for your interest in Mount Carmel College of Nursing's Online RN-BSN Completion Program. You may stop and save the information on your online application any time before you submit it for processing. We recommend that you print these instructions for future reference. To complete your application to Mount Carmel College of Nursing’s Online RN-BSN Completion Program, be sure to mail the following to Peggy Shaw, Admissions Advisor, at the address as listed below. Official College Transcript(s) from all institutions attended - Please send only official transcripts, sealed in the envelope as they were by the issuing college or university. If applicable, Copy of Visa or Permanent Resident Card - MCCN is not able to assist students whose Visa requires I-20 documentation. 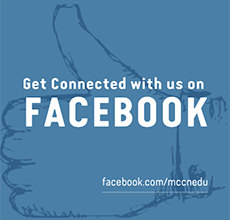 MCCN is not an I-20 granting institution. NOTE: To ensure timely processing of your application, you must submit the $30.00 Application Fee using our secure online payment system. The entire application package, including all academic transcripts and fees, must be submitted by the deadline date. After your application package is complete it will be evaluated. You will be notified promptly after an admission decision has been made.